-- New York Times "...tremendous technique and bravura style..."
-- Musical America "...highly imaginative, elegantly phrased, finely shaded and artfully colored. ... In the grand manner, shorn of that manner's abuses." Of the many celebrated composers born around 1810 (even a short list of first-rate composers would include Chopin, Liszt, Schumann, Mendelssohn, Wagner, and Verdi), it is Frédéric Chopin (1810-49) whose music has proven the most widely enduring. While Liszt better typifies the virtuoso of the period, and Schumann and Berlioz more audaciously epitomize the Romantic spirit, Chopin emerges as the most consistently excellent craftsman. His highly refined style -- generously lyrical, boldly chromatic, miraculously pianistic -- transcends each of its components and becomes a language unto itself. A moment of Chopin is as immediately recognizable as a Van Gogh canvas, and every bit as colorful. What generations of pianists have discovered playing Chopin's music is that the piano is an instrument capable of producing an infinite variety of sound; for Chopin this was clearly intuitive. The goal of playing his piano études, for instance, is not mastery of the many technical problems that pervade their surface. Instead, one strives to make these patterns disappear, so that one's only "mechanical" concern is the quality of the resonating sound. The various genres Chopin worked in -- the national dance forms of his native Poland (Polonaises, Mazurkas), the true miniatures (Préludes), the more extended genres (Ballades, Sonatas, Nocturnes) -- all rely fundamentally on lyricism, and thus on the creation of sound characters. Regarding such character, one should keep in mind the European frenzy for Italian opera in the early 19th century; the "singing tone" that generations of piano teachers have been coaxing from their students comes largely out of the Bel canto tradition. A Chopin Mazurka, then, might be understood less as a dance piece than as a "song about dancing." And the Nocturnes, while profoundly varied in their tone, all remain true to the genre's provenance in night-time serenades. Breathing life into Chopin's musical characters are the textural transformations that mark their progress through his narratives. While composers since the late 18th century had placed the highest premium on motivic variation (Beethoven, for instance, came to be known as an "organic" composer), Chopin invested most heavily in textural variation. Examples abound in the four Ballades, which constitute his most extended single-movement compositions for solo piano. Inspired by the Ballads of his countryman, the poet Adam Mickiewicz (1798-1855), Chopin managed here to blend the lyric and the dramatic in novel ways, creating a model significantly removed from (though not unrelated to) the dominant extended form for 19th-century instrumental music, the sonata. While an almost constant lyricism pervades the Ballades, the rhetorical aim seems to be directed most toward narration. The moments that we wait for come at the end, when the various lyric themes are transformed in a series of sometimes heroic, often tragic, culminating gestures. These defining elements of Chopin's style -- lyricism, narration, tone color, textural variation -- reflect the Romantic musical imagination in general. Like the mature works of Mozart in the 1780s, with their masterful synthesis of the Classical style, Chopin's piano works are truly "of their time." They stand as testaments to the era's quest for uninhibited subjectivity, its reverence for unbridled nature, and its passion for advancing musical technology. Notes by Mark Mazullo Donald Betts has produced over a hundred original piano pieces, songs, and chamber works. His recent recording, Soundings: Piano Works of Donald Betts (Centaur, RC 2332), was highly recommended in the May/June 1998 American Record Guide as "seductively dreamlike and sensuous", filled with "mystery and rapture". His music has been performed in such diverse locations as Ireland, Mexico, Siberia, and Sarajevo, as well as numerous locations throughout the US. Betts made his New York piano recital debut when he was 21, performing his own music as well as works of Schumann, Liszt, and Prokofieff. Musical America cited his "tremendous technique and bravura style", and The New York Times called him a pianist of "imagination and poetic feeling" who "put his soul into his performances." A month later he was drafted into the US. Army and spent ten months touring parts of Japan as a piano soloist with the 289th Army Band, performing Grieg, Beethoven and Gershwin. Returning to civilian life, he won the Concert Artist Guild award and presented two more NYC recitals at Town Hall and Carnegie Recital Hall. He then won a fellowship for the Indiana University School of Music. 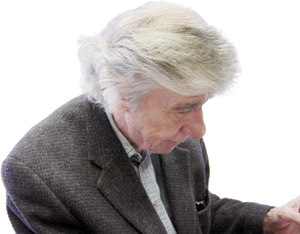 He took a professorship at Macalester College, teaching piano and music history and philosophy. He co-founded the Macalester Trio, whose repertoire included almost all the standards, as well as numerous unusual and nearly forgotten works, and many contemporary commissons. Their recording Chamber Works by Women Composers (Vox Box CDX 5029) was one of Newsweek's ten most important recordings of 1980. Betts is a recipient of Macalester College's Thomas Jefferson Scholar Award, and of the St. Paul Schubert Club's highest teaching award.